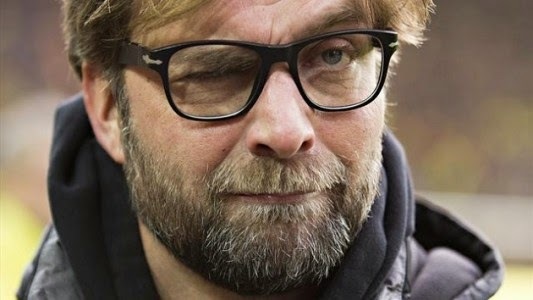 As Borussia Dortmund's league form continues to spiral into the abyss, many commentators have been left wondering what now for manager Jurgen Klopp. With Bayern Munich running away with the title and threatened to turn the Bundesliga into a more technically advanced version of the Scottish Premier League for the foreseeable future, any frustration the Dortmund boss has is understandable. 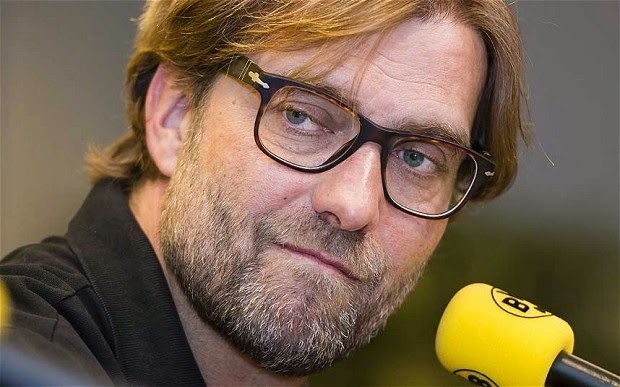 Rumours are already beginning to swirl around the future of the two time German Football Manager of the Year, who has admirers right across Europe, and it will come as no great shock that he is considering his options. Our league form this season has come as a great disappointment to everyone connected with the club. I would like to assure the fans that I am committed to getting us back up towards the top half of the table, and of course maintaining our challenge in Europe. That being said, these past few months have been very difficult for me personally. Despite the cleansing laxative of dumping second rate sides like Arsenal out of the Champions League, our league form has been about as good as getting a half inch cold sore on your top lip before a blind date. The players we have lost over the past few years has also torn at my soul and it's beginning to 'come to a head', as the English say, this season. Losing Mario Gotze and Robert Lewandowski to Bayern Munich was gut wrenching, and now they're sniffing around after Marco Reus. I'm like the smart and passionate kid in college who used his charm to win the heart of a beautiful girl, only for a douchebag athlete from a rich family to steal her away from me. But in my case this has happened several times, and may happen again. In spite of several interesting coaching opportunities, I've decided to take a page from Pep Guardiola's book and no I don't mean steal someone's players, but rather take some time off. I have done a lot of soul searching and yet found no answers, so I have decided that at the end of the season I will shave off my wonderful hair, discard my possessions, and become a Buddhist monk in the mountains of Tibet. After years of struggling against the tide in club football, for the foreseeable future I plan to live a simple and meditative life in a quest to attain nirvana. Although I'm not sure if my new brothers will allow me to keep my beard, I believe that this is the most logical next move for me after this season. In the meantime, hold onto your hats as I guarantee that we will start climbing the table soon."